Jens Kyllonen, one of the few elite professional poker players in the world today has yet again won another impressive amount of money. This time he won $635,000 while playing the “Online Poker World” tournament. It took him 9,500 hands in total in order to win that amount of money. Mr. Kyllonen has had a long history as a professional poker player, he continually increases the amount of money he wins and due to this he’s become a legendary poker player. 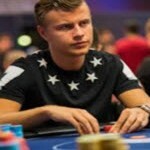 As of right now Kyllonen has brought his the most amount of earnings ever before seen in PokerStars. The total earnings he’s accumulated while being a professional poker player is $4,959,875. This puts him in a bracket that billions in the world wish they could experience. He currently stands as the number one professional poker player in the world, a title that very few have ever been able to claim. Mr. Kyllonen didn’t make any statements regarding his recent win. We most likely won’t see this individual play again for at least another three months. At this point he plays professionally for a hobby, all the money he’d ever need is already in the bank. Luckily there are only two players in the world who are able to rival his skill, Sulsky and Blom. These two poker players are considered the second and third best in the world, every tournament it seems that both of these players are more concerned with defeating Jens Kyllonen than winning any money. This was evident again during the Online Poker World Tournament as Sulsky and Blom showcased their emotions, which in return gave Jens the advantage he needed to win the poker game.